The International Atomic Energy Agency (IAEA) said today that its annual publication on the world’s nuclear power reactors showed that at the end of 2014, 70 reactors were being built and 96 were planned. The publication, the 2015 Edition of the Nuclear Power Reactors in the World, provides reliable information on operating power reactors, those under construction, reactors that have been shut down and performance data on reactors operating in the IAEA member states. Mikhail Chudakov, deputy director general and head of the IAEA Department of Nuclear Energy, said the publication has been one of the agency’s best sellers for 35 years because it is user-friendly and gives an overview of the status of nuclear power around the world. “The publication is in high demand by nuclear power professionals, media, scientific and academic communities, libraries and the general public,” Chudakov said. 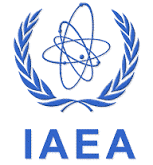 The publication is available on the IAEA web site, www.iaea.org.